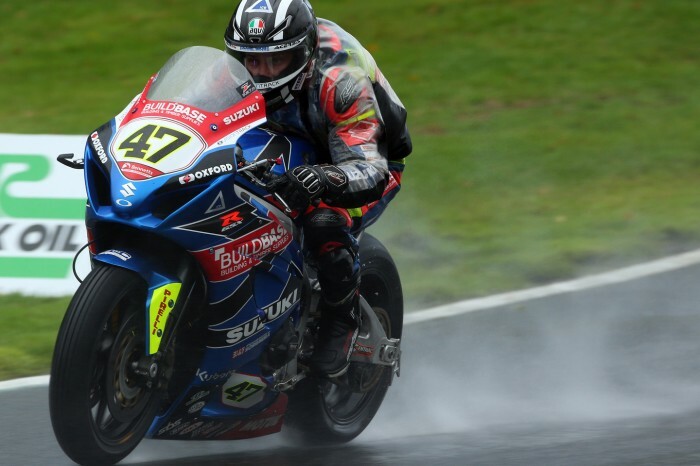 Richard Cooper demolished the field in today’s final Bennetts British Superbike as he bagged his first win since 2016 in today’s wet conditions. The Buildbase Suzuki rider led from lights-to-flag as he destroyed the pack in the final race of the 2018 season, beating Tommy Bridewell and Jake Dixon to the line by 7.493s. Cooper fired his bike into the lead straight off the line, followed closely by Jason O’Halloran’s Honda, as James Ellison went Backwards off the front row and ended the first lap in 16th as he dealt with what looked like a problem. 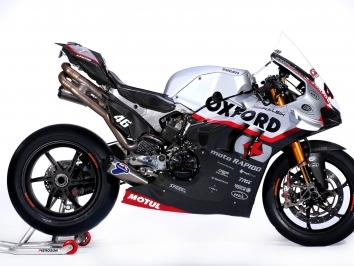 Michael Laverty Crashed out on the second lap while running in fifth, and the battle soon became about second, with new champ Haslam hassling O’Halloran, with Tommy Bridewell smapping at his heels. On lap three, Bridewell found his way past Haslam and O’Halloran, but Cooper had already stretched a gap of over two seconds as they began the fourth lap. But Haslam had a massive moment on the Cooper Straight while running in third, allowing O’Halloran and Tyco BMW’s Christian Iddon through. Bridewell set about chasing down Cooper as Haslam found his way back up into fourth behind the Australian, but Dixon had caught the group as he threw his hat in the ring for the third-place battle, passing Iddon and slotting in behind his championship rival. And Dixon followed Haslam through into third and fourth before making a move at the entrance to Graham Hill to take over third on the 12th lap of 20. Back in the doldrums of 15th place, however, after suffering with early problems, Be Wiser Ducati’s Glenn Irwin retired to the pits and just a couple of laps later Josh Elliott crashed his OMG Racing Suzuki at Surtees. With two laps to go, Andrew Irwin joined his brother on the DNF list with a crash at Surtees, but the route to victory was clear for Cooper as he crossed the line nearly 7.5s clear of Bridewell, with Dixon pulling clear of Iddon to take third. McAMS Yamhaa’s Josh Brookes crossed the line just 0.6s further down the order in fifth, ahead of JG Speedfit Kawasaki’s Haslam and Gino Rea. Eighth went to O’Halloran ahead of Smith’s Racing’s duo of Peter Hickman and Sylvain Barrier, the latter of whom had pulled clear of a mid-race bout with Bradley Ray and Movuno.com Halsall Racing’s Danny Kent.